Acorns is a small company on a big mission: to help young adults and others new to investing grow their wealth. 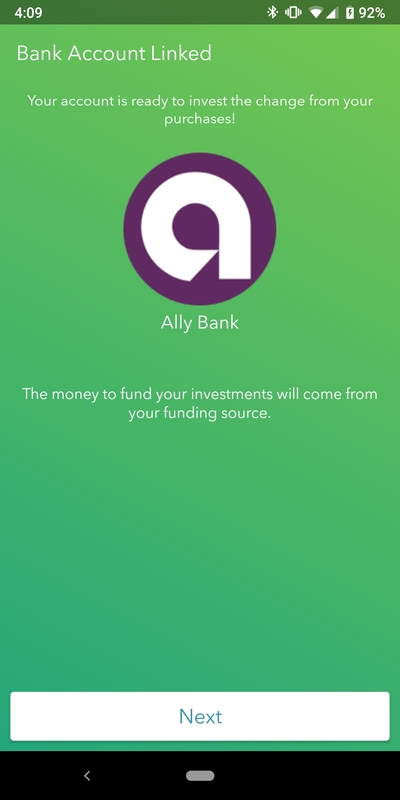 Their automated investment platform makes it easy for users to make the most of their money, automatically rounding up everyday purchase amounts and investing the “spare change,” along with any recurring or manual deposits. Users can select from five smart portfolios depending on their desired investment growth and risk without the additional expense that comes with a human financial advisor. The company's beautifully designed mobile and SaaS applications are built to make the tedious process of investing delightful—their app has won design awards from Fast Company, the Webby Awards, and Good Design Australia. 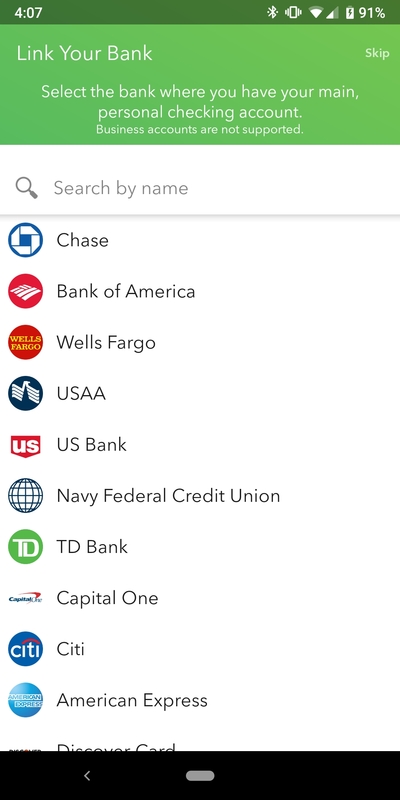 From the moment they sign up, users are guided through a visually stunning yet straightforward process of opening their new investment account and linking their existing banks and credit cards. 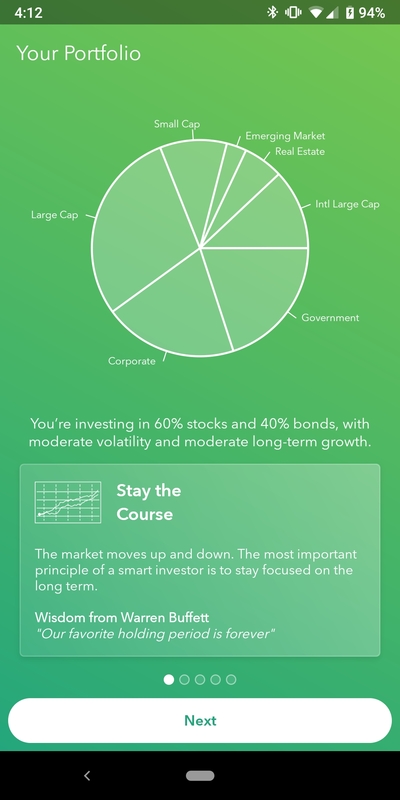 After linking to a bank account, users are guided through an exercise to choose the right portfolio to match their investing goals. 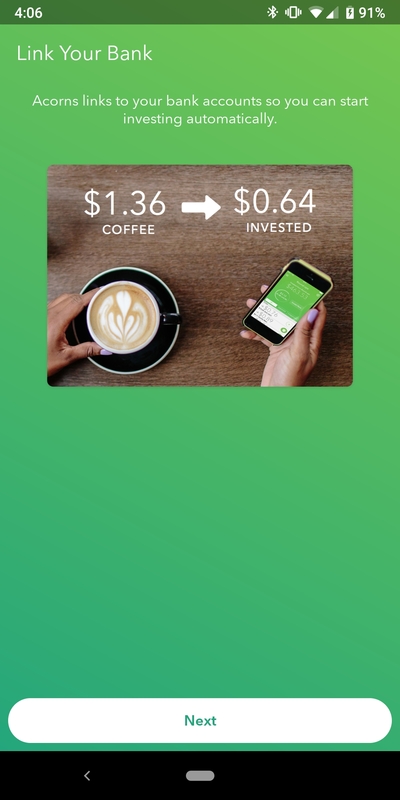 After linking to a bank account and choosing a portfolio, Acorns shows a short video outlining the key features of the application. 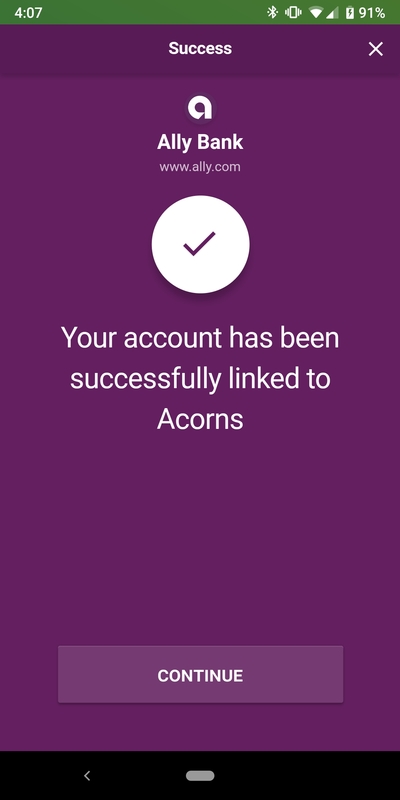 From linking a bank account to selecting a portfolio, Acorns makes the necessarily lengthy process of setting up a new investment account fast, easy, and delightful. Users are guided through each step without ever needing to think about what they should do next. 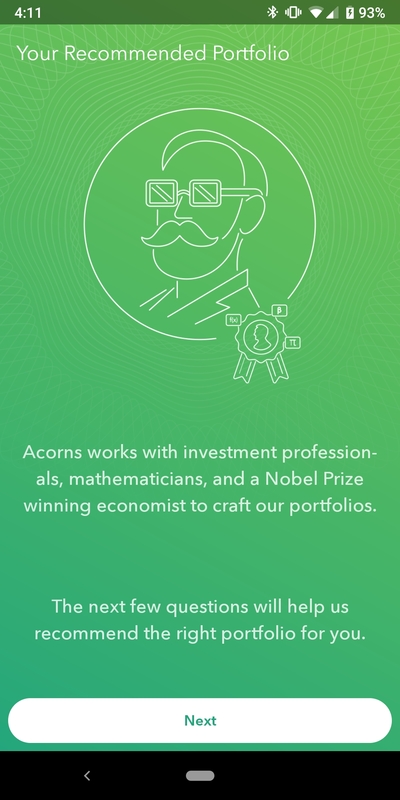 Acorns' attractive visual design and well-written microcopy draws users through the setup process, helping translate the complex process of investing into something new investors can easily understand, and sending the message that saving money can be fun.